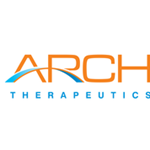 FRAMINGHAM, Mass., Sept. 05, 2018 (GLOBE NEWSWIRE) -- Arch Therapeutics, Inc. (OTCQB: ARTH) ("Arch" or the "Company"), developer of liquid, gel and solid hemostatic and wound care devices, today announced topline data for its irritation/sensitization patch test study of AC5™ Topical Gel (AC5)1. The study was designed to address a request by the Food and Drug Administration (FDA or “the Agency”). 1 AC5 is currently an investigational device and is limited by federal law to investigational use.